In the West Godavari district, between the TDP and the BJP, the grass is getting worse. In the district, the Telugu Desam Party does not have the appropriate preference in the matter, but the concept of humiliating in every case is to the lower level activist of the BJP. They are burning with a kiss. 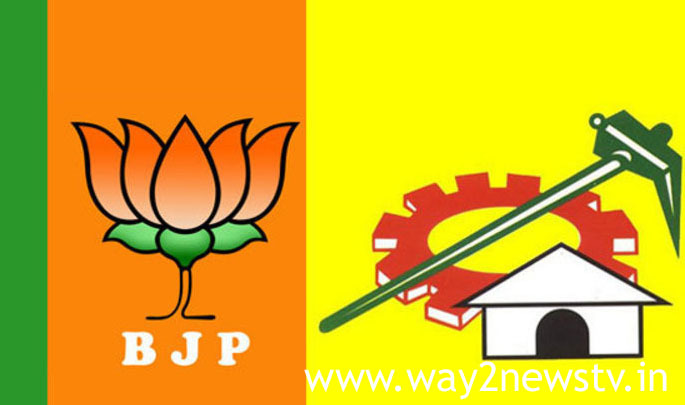 They argue that the Telugu Desam Party is not talking about the funds provided by the party to help it get a big issue if it stops at the center. All the villages across the district are undertaking cementite and undergraduate drainage work, but they question how well they are promoting their credibility. Invented. Asked about how the budget would be paid by the NABARD to pay the loan and pay the loan to the center. There is no proper protocol for BJP ministers. Finally, the birthplace committees were also unilaterally laid down. Narsapur MP Member Gokaraju Gangaraj is also not invited to many programs. JPP chairman Babiraju told us not to tell him in Thadapalligudu, who is represented by Minister Pykippondala Manikalala Rao. The differences between the Telugu Desam and the Bharatiya Janata Party have reached the peak. The BJP leaders have alleged that the Telugu Desam leaders are dealing with the way the BJP has won in Tadipalligudu, so as they say.